I just bought some to bake. What’s your favorite cocktail? Do you like Tequila? Do you drink Coffee responsibly? What foods are you craving right now? How do you feel about pickles in general (as food to eat)? Ever hear of poop cookies, and they are real food. I guess that is a real hit around Halloween, The kids just think they are fun. Yeah, they're some of my favorite especially when they're fresh out of the oven. God damnit, you made me hungry. Now I gotta go find some cookies. Thanks a lot Red Robin! They are OK. I am more of a cake and pie fan myself. What It's Really Like to Be an "Ugly Woman" My Journey On GAG Tattoos and why I am so tempted to get one or more, let's begin shall we! :) The down side of hooking up To all those women that are never approached by men: Do you think we are the problem? 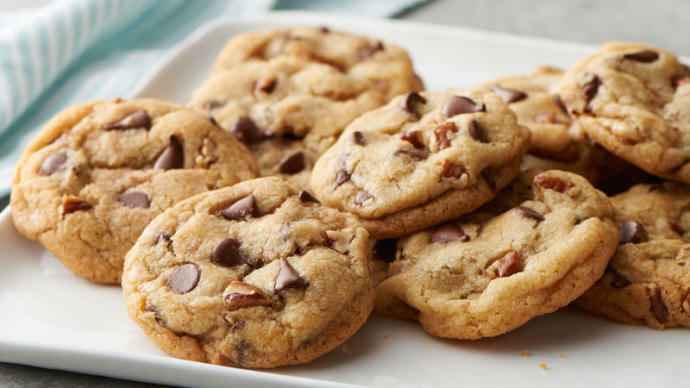 Home > Food & Beverage > Do you like chocolate chip cookies?